IndieWeb Summit 2018 IndieWebCamps are brainstorming and building events where IndieWeb creators gather semi-regularly to meet in person, share ideas, and collaborate on IndieWeb design, UX, & code for their own sites. 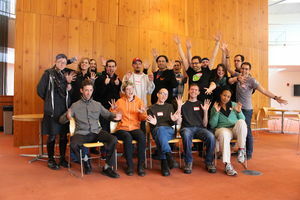 This page provides a list of upcoming IndieWebCamps and past IndieWebCamps. Attendees, see the attendance page for some details about what to expect at a camp. Organizers, see: IndieWebCamp Organizing and the Organizers page for pre-camp meetup topics. 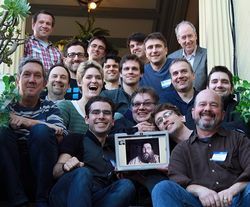 2019-06-29…30 ⛰ IndieWeb Summit Portland! Planning for more cities and especially if you want to help organize one! Flickr indiewebcamp OR indieweb - please feel free to link/embed photos from sessions on their respective pages! 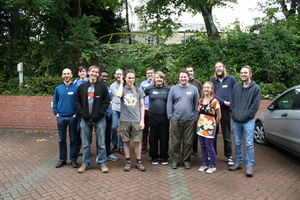 The first IndieWebCamp in Edinburgh, but just one of many IndieWebCamps! The importance of owning your data is getting more awareness. To grow it and help people gettings started, we're meeting for a bar-camp like collaboration in Edinburgh for two days of brainstorming, working, teaching, helping. 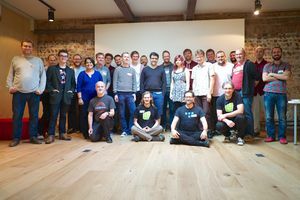 Join us in Edinburgh and learn how to use open web technologies to empower and – maybe more importantly – encourage users to own their own content and identities. 2015 Edinburgh Schedule for session notes. 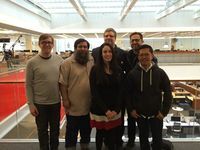 IndieWebCamp Portland 2015 was the 5th annual main IndieWebCamp! Where: ESRI PDX, Portland, Oregon. 2015 Schedule for session notes. Major milestone: We achieved full SWAT0 interoperability across three different implementations running on three different personal sites, by people using them in three different cities! 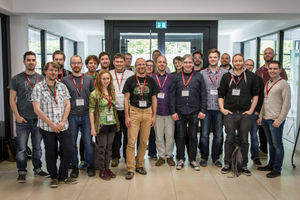 IndieWebCamp Brighton 2015 is one of many IndieWeb events. The importance of owning your data is getting more awareness. To grow it and help people get started, we're meeting for a bar-camp like collaboration in Brighton for two days of brainstorming, working, teaching, and helping. 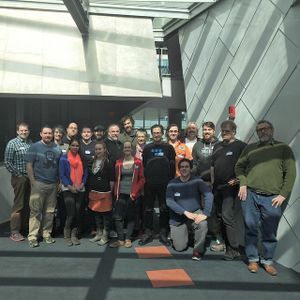 Join us in Brighton and learn how to use open web technologies to empower and – maybe more importantly – encourage users to own their own content and identities. Where: 68 Middle Street, Brighton, England. 2015 Brighton Schedule for session notes. 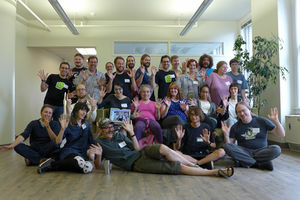 IndieWebCamp Germany 2015 is one of many IndieWeb events. Rather than posting content on third-party silos of content, we should all own the content we're creating. Publish on your own domain, and syndicate out to silos. 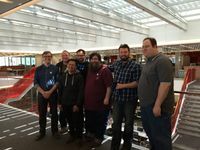 Join us at sipgate for two days of a BarCamp-style gathering of web creators building and sharing open web technologies to empower users to own their own identities & content, and advance the state of the indie web! 2015 Germany Schedule for session notes. IndieWebCamp Cambridge 2015, the second IndieWebCamp held at MIT, Cambridge, MA. See the Guest List for who participated. 2015 Cambridge Schedule for session notes. IndieWebCamp Online 2014, the first IndieWebCamp held online, took place on 2014-11-16 . See the Guest List for who participated. IndieWebCamp Cambridge 2014, the first IndieWebCamp held in Cambridge, MA, took place on 2014-10-11 and 2014-10-12 . See the Guest List for who participated. IndieWebCamp UK 2014, the third annual IndieWebCamp held in Brighton, England, took place on 2014-09-06 and 2014-09-07 . See the Guest List for who participated. IndieWebCamp 2014, the first main IndieWebCamp held simultaneously in three locations (Portland, New York City, Berlin), took place on 2014-06-28 and 2014-06-29 across all three time-zones continuously. See the Guest List for who participated. IndieWebCamp NYC 2014, the first IndieWebCamp in New York City, took place on 2014-04-26 and 2014-04-27 . See the Guest List for who participated. IndieWebCamp SF 2014, the first IndieWebCamp in San Francisco, took place on 2014-03-07 and 2014-03-08 . See the Guest List for who participated. 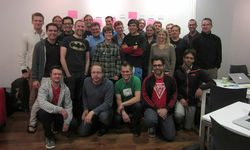 The first ever IndieWebCamp Hollywood was November 3 - 4 , 10:00-18:00, the two days after Farmhouse Conf 5. IndieWebCampUK took place on 2012-09-09 at The Skiff in Brighton, England, immediately after dConstruct and Brighton Mini Maker Faire. Indie Web Camp UK 2012 by Tantek. IndieWebCamp 2011 was on 2011-06-25 and 2011-06-26 immediately following OSBridge 2011 on June 21-24. See 2011 Planning for how we made it happen. 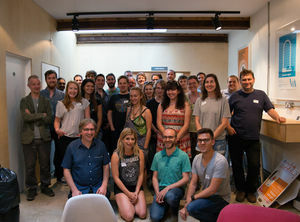 Check out the amazing Demos that were worked on in Day 2 of IndieWebCamp 2011. See: IndieWebCamp Organizing for information on organizing an IndieWebCamp in your city. This article describes a workmode very similar to the IndieWeb community. This page was last edited on 8 April 2019, at 12:01.